The show has 14 nominations for the main awards and the Bafta TV Craft Awards, which were announced together. Hugh Grant's drama A Very English Scandal is next with 12. The kooky spy drama's other acting nominees are Fiona Shaw, who played spymaster Carolyn, and Kim Bodina, who was Villanelle's handler Konstantin. They are up for best supporting actress and best supporting actor respectively. And Phoebe Waller-Bridge is nominated for best drama writer. But its nominations were only possible because Bafta bent its own eligibility rules, which say shows "must have had the worldwide premiere transmission in the UK". Killing Eve premiered in the US on BBC America five months before it arrived on BBC One. A Bafta spokeswoman said: "Bafta's TV committee has deemed Killing Eve eligible owing to the significant creative contribution from key talent residing in the UK both in front of, and behind, the camera. Development and post-production also took place in the UK." 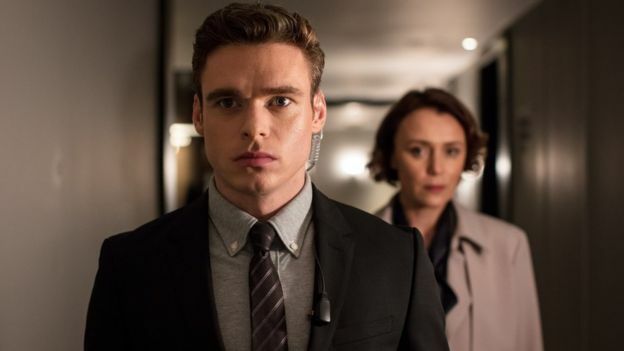 Bodyguard and Killing Eve are both up for best drama series, alongside BBC One's Informer and Sky Atlantic's Save Me. 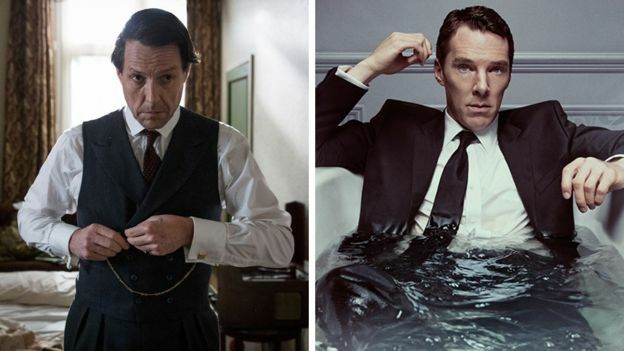 Grant is among the nominees for best actor for playing disgraced Liberal leader Jeremy Thorpe in A Very English Scandal. His co-star Ben Whishaw is up for best supporting actor.